New Milford Rifle and Pistol Club Team will be starting their season and currently has openings for youth, ages 12-19, and adult shooters. No matter your skill level, from beginner to expert, come check it out and improve your shooting skills. NEW SHOOTING DAY AND TIME! Enjoy our Heated, Ventilated, Indoor Range, open 6pm to 9pm every Tuesday. Season runs from September through March each year and you can join in anytime. Any .22 rifle allowed, scoped (under 7.5 lbs) or iron sights (unlimited weight). Loaner rifles available as well. No Range fees for Juniors – just buy ammo. .22 Ammo is available for purchase by all team members as well as instruction and coaching. Adult and Youth TEAMS compete in LEAGUES across Upstate New York and Northeast PA - Postal competition – no traveling required. Trophies and awards, party, award banquets at season end. 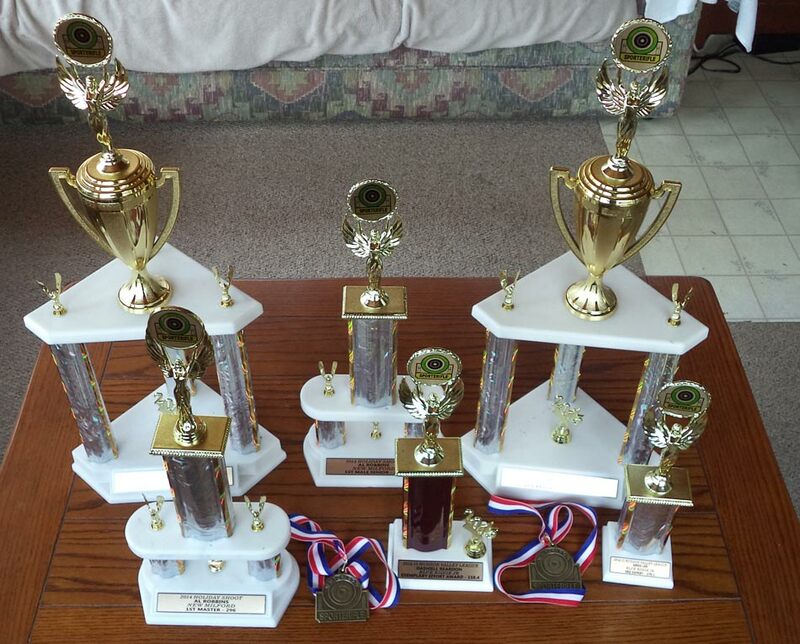 New Milford Rifle & Pistol Club participates in the New York State Sporterifle League. We shoot every Sunday from 2-5pm, last target must be started by 4:30pm. The season runs from about mid-September till about mid-March. NYS Sporterifle is a postal target competition using .22 cal. rimfire rifles. The shooting position is off-hand standing with the target at 50 feet. The sport is designed so that expensive special equipment is not required. It is possible to be competitive with equipment you may already own. There is a maximum weight limit on scope/gun of 7.5 pounds. Slings or other devices that provide artificial support are not allowed. The cost is very low and even lower for youth shooters. You DO NOT need to be a club member to shoot on this league. Matches are held weekly throughout the season. A match consists of 3 completed targets with 10 shots per target. Shooters are given 10 minutes to complete each target. The target used is the NRA Official 50 feet Light Rifle Target A-32. The maximum score per target is 100. A perfect match score is 300. Currently there are about 54 teams state-wide divided among 7 leagues based on team average including Junior Youth teams. Click on the NYS Sporterifle LOGO above to find out more information about the league. Each year our team members can participate in a Holiday shoot and an end of the year shoot-off providing that you have the required number of targets scored prior to the event. If you own a .22 caliber rifle (even if you don't we have a couple around here someplace) and have an interest in shooting, come to the Club and enjoy some fun with some of New York State and NE PA's finest rifle men and women!